If you have bad credit and are in need of a personal loan, you need to keep a few things in mind. For one, lenders are not in the lending business to loose money. If you have a bad credit, chances are that you have stiffed one or more lenders on payments. Each and every missed payment effects the lenders bottom line, and quarterly earnings, and hence their yearly earnings. No lender likes to end up in the red. These lenders do not care if you lost your job or merely decided that your money was better spent elsewhere. This may sound harsh, but I state this for a reason. Many people with poor credit get caught up on personal loan scams by fraudulent lenders. These are fly by night websites which make rather targeted copy writing towards people with bad credit, in an attempt to get them to fill out the loan application. 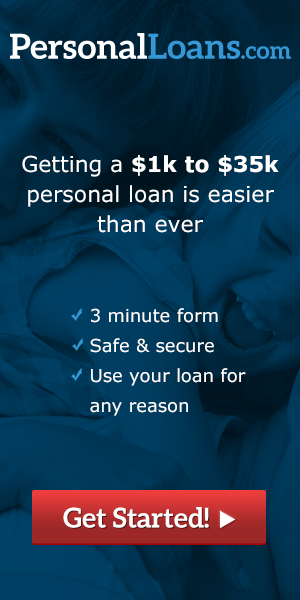 You really need to think about the quality of the website offering these loans, the wording they use, and think to yourself if you were a lender, why would you loan money to someone with your credit history. If you cannot come up with a logical reason, not based on emotion, you should think twice. What is wrong with the above? First off the English is terrible. Secondly how is the lender going to make money if for example they lend to someone with 9 past due tradelines on their credit report? The answer can of course be found on the small print of the website, they make money for each application they submit on your behalf to lenders, which of course damages your credit when you suddenly have 20 hard inquiries appear on your credit report. These are known as lending networks, where the website owner submits your application to as many lenders as possible. On the off chance you do get approved for a loan, the network owner makes a hefty fee, which ends up getting passed on to you, in fees on your loan. This of course raises the APR on your loan. Again note the poor English here “paperworks”. Also what lender on the face of the plant would not use and file paper work on a loan? No one. Also they have to point out “As a legit lender”, that hardly sounds legitimate if you have to use language like that on a rather poor looking website. Credit checks are pretty much an industry standard by the way, so if you see such an ad or website, walk quickly away. This whole advertisement just screams scam. Do not be a victim to loan scams. Basically if you have bad credit, you need to be extra careful when applying for a loan. Make sure that the lender you are doing business with is licensed to do business in your state. Any good lender will also be registered with the BBB or Better Business Bureau. You should also run the lenders name in Google with the key words “Scam”, “Complaint” and “Fraud”. This will give you an idea if others have run into problems with that lender. If you need to find reputable lenders you can always find solid reputable lenders via the reviews on our website. If all else fails, you can take advantage of the credit repair advice we offer here, and make your credit good enough that no lender will turn you down. This entry was posted in Uncategorized on November 11, 2015 by .